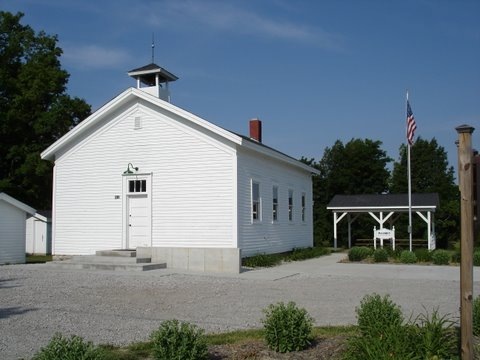 Kitchen School, located on the corner of Bristol and State Roads in Davison Township, was named for Silas Kitchen one of the area’s homesteaders. Clues such as the dimensions of lumber and types of nails used made it possible for us to date the building to sometime between 1860 to 1870. From it’s beginning, Kitchen School operated under the Rate Bill System for its funding. This system which was authorized by the state legislature in 1839 allowed district children fees or rates in proportion to the number of students and the number of days they attend school. 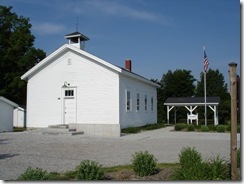 The building was restored to its 1940s appearance by Davison Township and many volunteers. Davison Area Historical Society was given stewardship of the building in 2007. It is currently used for fieldtrips, meetings, and special events. To make arrangements for a tour or group meeting please contact the Davison Historical Society.